Aviv is an Investment Manager at Qualcomm Ventures, managing all investment activities in Israel. His investment interest spans across the wireless sector in Israel, including enabling technologies, applications, devices and infrastructure. Prior to Qualcomm Ventures, Aviv held several management R&D position in Qualcomm Israel. Previously, he worked as a project lead in Accord (acquired by Polycom – NASDAQ:PLCM) and Lannet (acquired by Lucent). 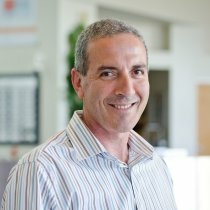 Aviv has an MBA from the Recanati business school of the Tel-Aviv University and BSc from the Technion – Israel Institute of Technology.